Missouri’s four-year universities are educating and training the workforce of tomorrow. Missouri understands that an educated and trained workforce is essential to success. And Missouri's four-year universities are training a skilled workforce to drive innovation and build a modern, cutting edge economic environment. No matter where you look in the state, Missouri talent is being developed for the industries and companies that are leading Missouri into the future. On the western side of the state, the Kansas City region boasts numerous world-class institutions including Park University, in Parkville, William Jewell College, in Independence, and Rockhurst and Avila Universities in Kansas City. Slightly north of Kansas City, Missouri's St. Joseph region is home to Northwest Missouri State University, in Maryville, and Missouri Western State University in St. Joseph. Meanwhile, on the eastern edge of Missouri, the St. Louis region is home to Lindenwood University, in St. Charles, Saint Louis University and Harris-Stowe State University in St. Louis City, and Missouri Baptist University, Maryville University Webster University, the University of Missouri-St. Louis and Fontbonne University in St. Louis County. Also, northwest of St. Louis in Northern Missouri's Hannibal/Kirksville region are the colleges of Truman State University, in Kirksville, Culver-Stockton College, in Canton, and Hannibal-LaGrange College, in Hannibal. Central Missouri is also home to numerous world-class colleges. Central Methodist University, in Fayette, William Woods and Westminster College, in Fulton, Lincoln University, in Jefferson City, Missouri S&T, in Rolla, and Stephens and Columbia College's in Columbia, all call the region home. In the southern half of Missouri the Sedalia/Warrensburg region is home to Missouri Valley College, in Marshall, and University of Central Missouri, in Warrensburg. The Joplin region is home to Missouri Southern State University, in Joplin. And finally, Missouri's Springfield region is home to College of the Ozarks in Point Lookout, Southwest Baptist University, in Bolivar, and Drury and Evangel Universities, in Springfield. 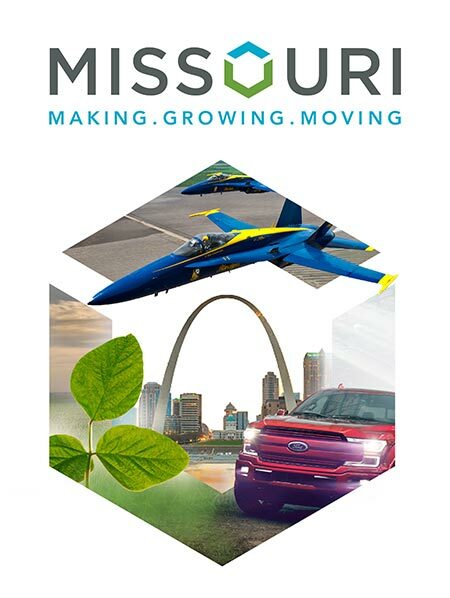 Missouri's strengths are only getting stronger as the state builds momentum, reduces red tape, encourages entrepreneurs and builds a better workforce — all for the benefit of business in the Show Me State.